When Emily from R ‘n’ D Paws expressed an interest in wanting to work with us, I couldn’t wait to see what would arrive through the letterbox. It was a complete surprise, I had no idea what she was planning on sending us. 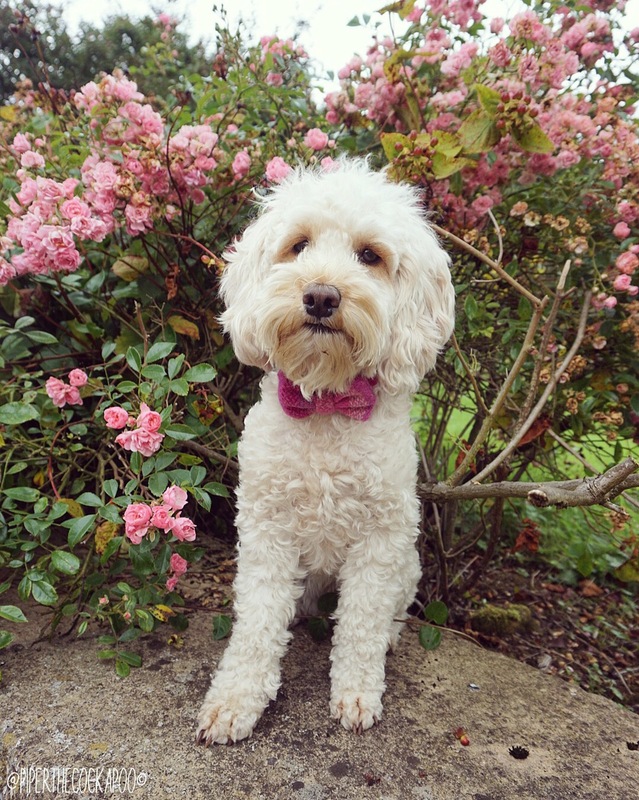 We were over the moon with what arrived; Piper was lucky enough to receive a tweed gorgeous collar & 2 matching bow ties. R ‘n’ D paws are based in Scotland, so of course their products reflect this. 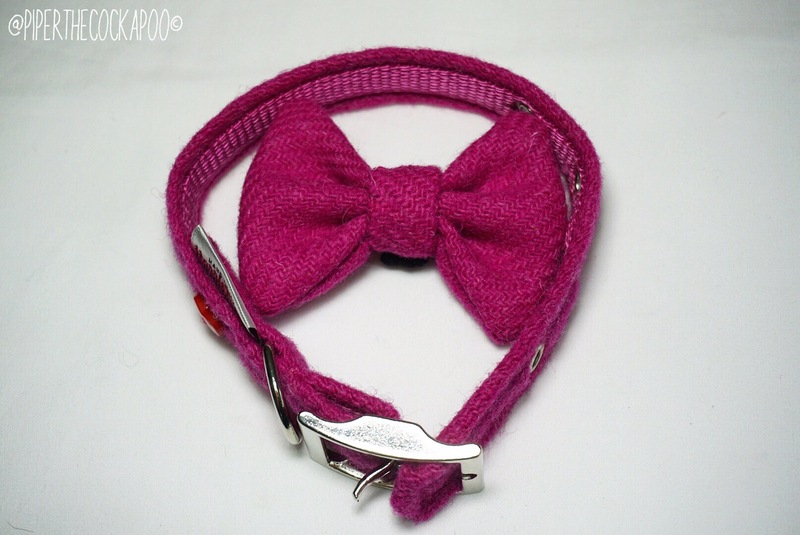 They sell a variety of collars, bandanas, bow ties & harnesses in either tartan or tweed (both traditionally Scottish!) 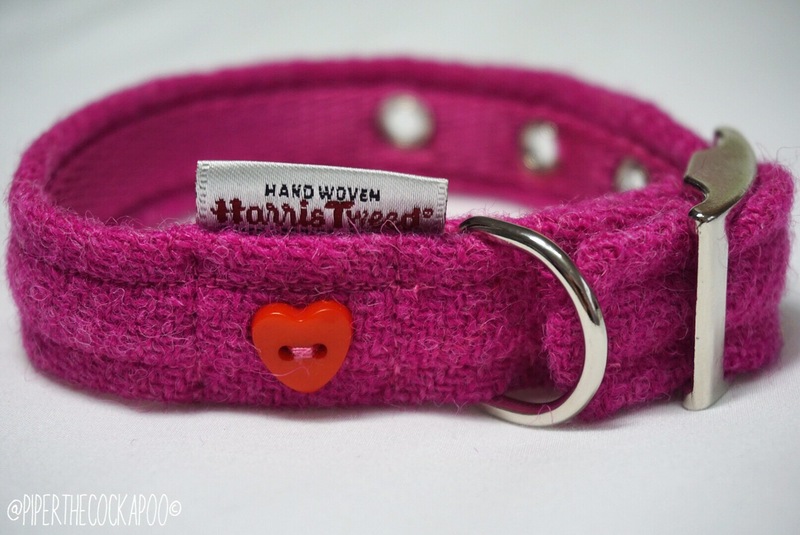 There’s a lovely variety of colours to choose from in both the tweed & the tartan designs, so you’ll have no problem finding something to suit your pup’s individual style. All orders are handmade, so items can be customised at ease to suit what you are looking for! Be sure to look out for the little red heart on the collar! 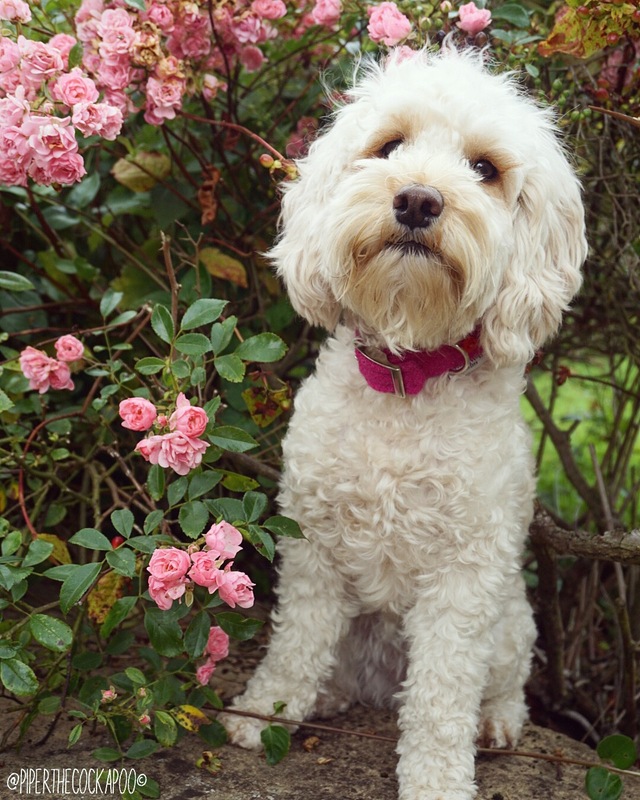 Piper was sent the gorgeous Harris Tweed Collar in Bubblegum Pink. 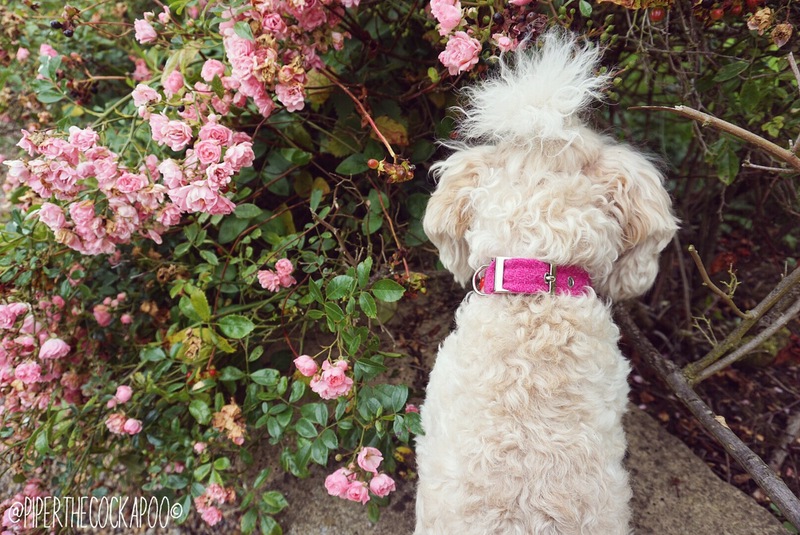 The deep pink complements her blonde fur beautifully, the ultimately girly combination! The Harris Tweed label immediately establishes that the collar is of excellent quality, but this can also be evidenced by simply feeling. The tweed is crisp to touch & you can see the intricate detail put into the patterning, subtle but very effective. This is the type of collar you would want your dog to wear if you were visiting somewhere fancy! 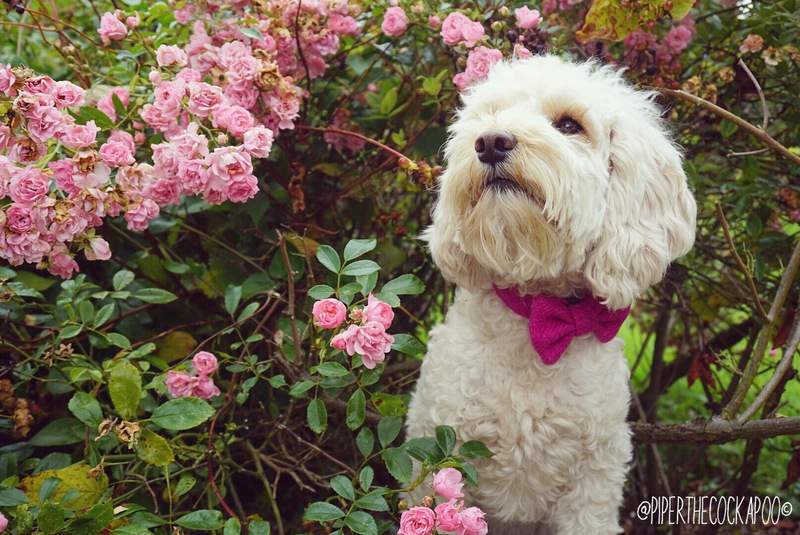 The reverse of the collar is made from a super soft, silky nylon material, comfortable & delicate on your dog’s neck! 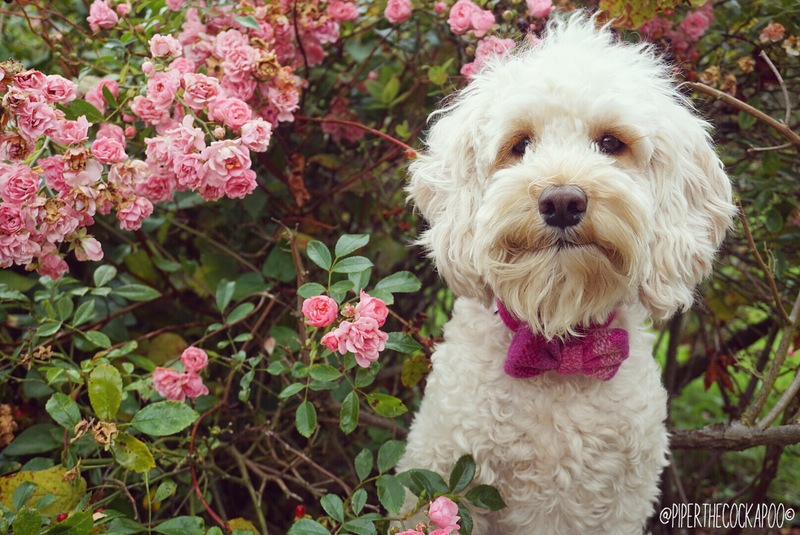 There are 4 button holes punched in for fastening the buckle on different sizes, so the collar is suitable for when your dog naturally grows & shrinks in size. For Piper, she is at least 2cm bigger on the neck when her coat is long, so this is a really useful feature for us! The buckle & D ring are silver and feel very strong and sturdy. Understandably, the collar has to be washed by hand, so maybe not the best idea to put it on your dog if you’re planning to go diving in muddy puddles. 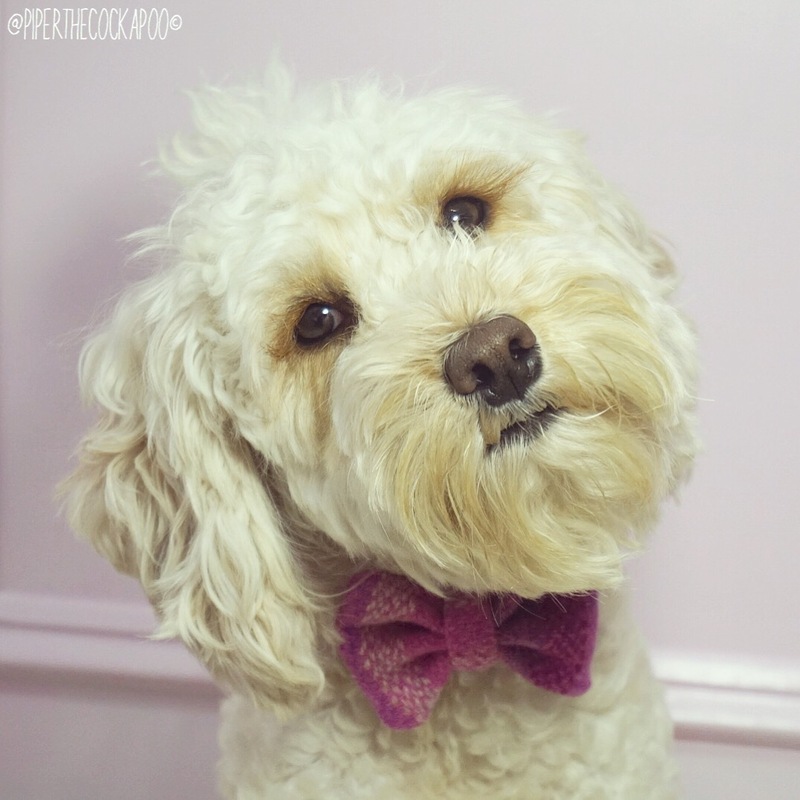 We were sent two bow ties, one which is the exact same material as the collar & one which is has a multitude of different tones pinky/purple tones. I love the idea of these as it allow you to add in a bit of variety, with the end result not being too bold. They add that little bit of sophistication which every dog deserves. 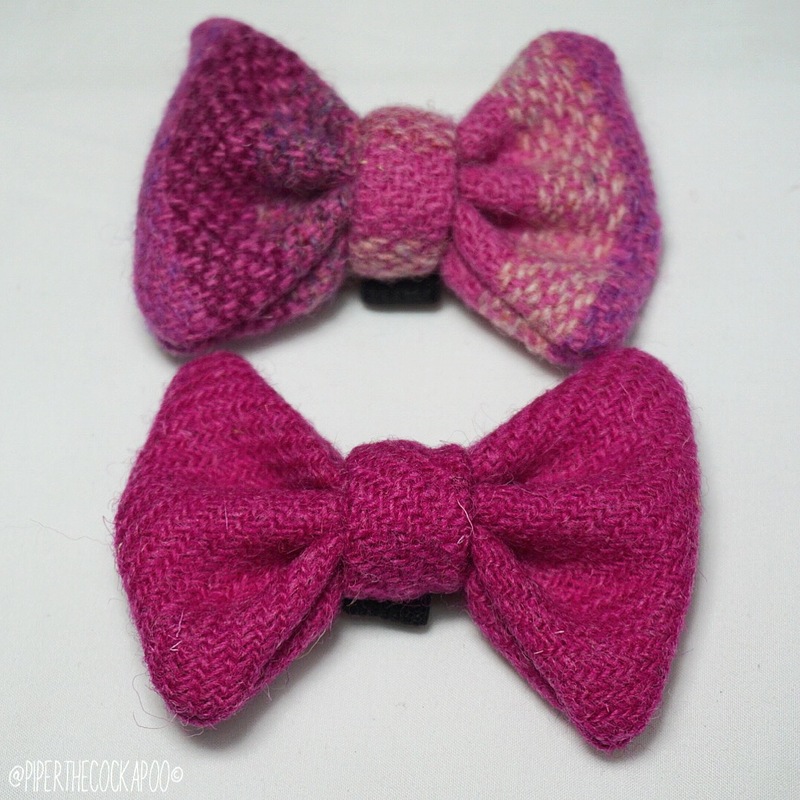 The bow ties have an elastic loop on the back which feeds through the collar. 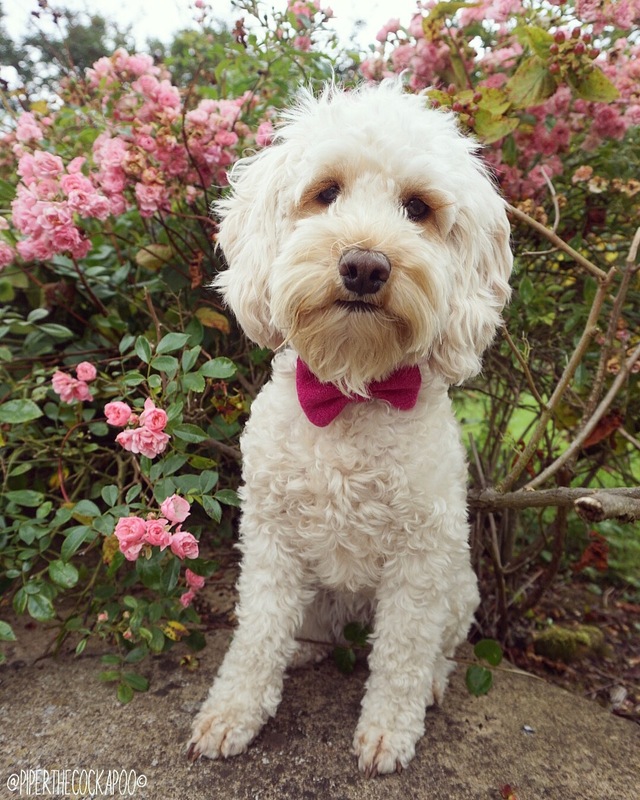 This attachs the bow tie securely & so long as your collar is fastened properly, it stays in place so no worry of losing the beautiful bow when out and about. 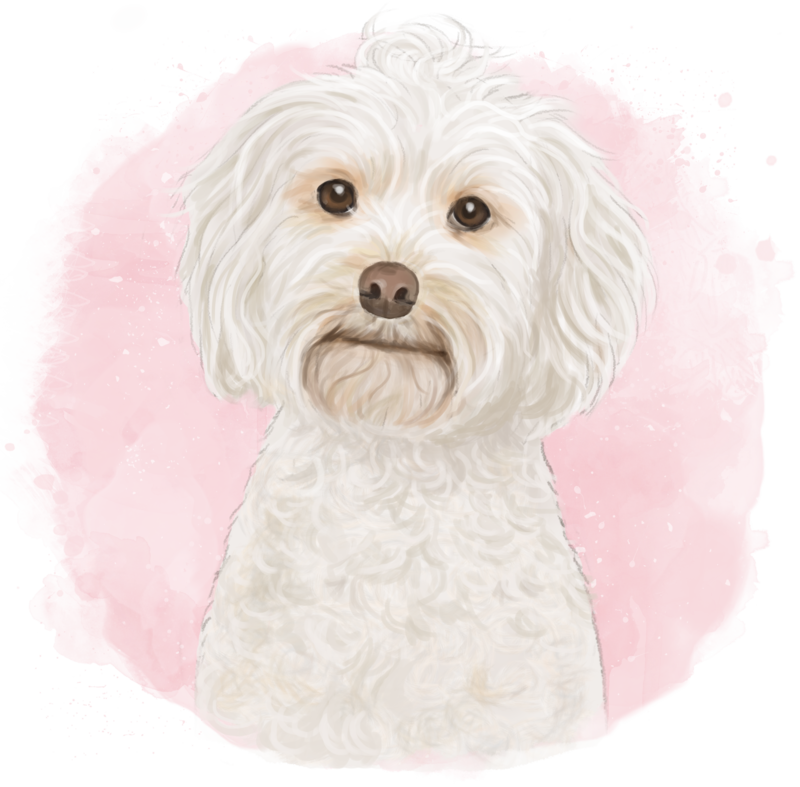 The whole service you receive from R ‘n’ D Paws feels so personal right from the start to finish. You can tell that Emily puts her heart and soul into her work, because not only are the products created to such a high standard, she also puts a lot of attention into the packaging too. The collar & bow ties came neatly wrapped up in string with a hand written message and they were then wrapped in tissue paper, sealed with a R ‘n’ D Paws logo sticker. It is so rewarding to support small businesses like these rather than buying from the large companies, especially when so much thought and care is put in. 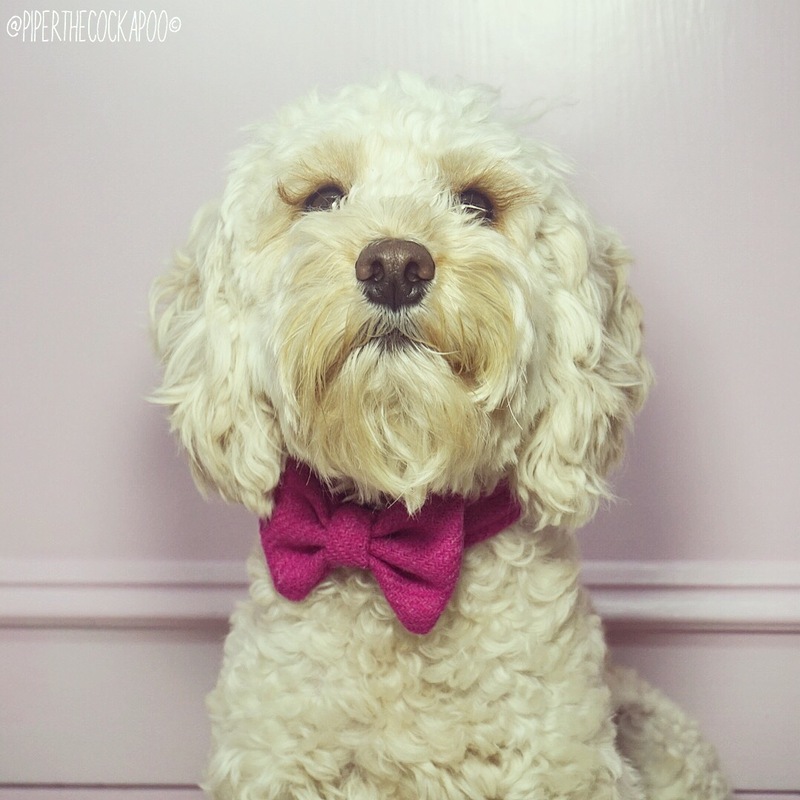 You can follow R ‘n’ D Paws on Instagram & here you can get your daily dose of adorable pups wearing their products. 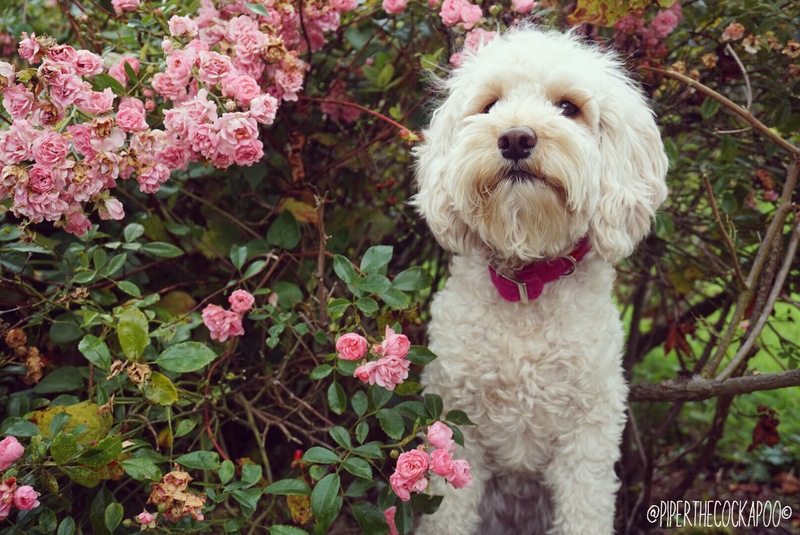 We hope you’ve loved reading R ‘n’ D Paws as much as we have enjoyed sharing our experience with them! Very proud of our granddaughter Emily.. Love the review. Barbara.